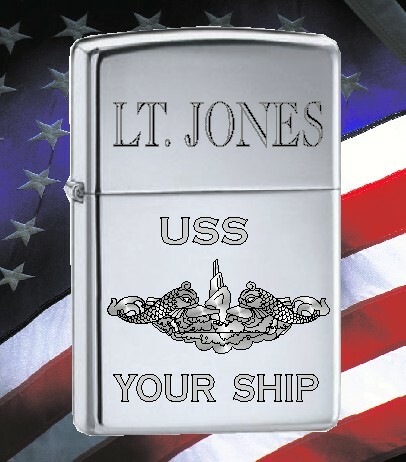 Zippo Lighter in High Polish Chrome engraved with US Navy Crest Design, Name and Your Ship Name. Regular size lighter. 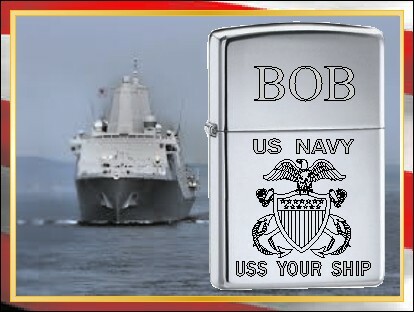 Zippo Lighter in High Polish Chrome engraved with Submarine Design, Name and Rank. Regular size lighter. Zippo Lighter in High Polish Chrome engraved with U S Seal Design, Name. Regular size lighter. 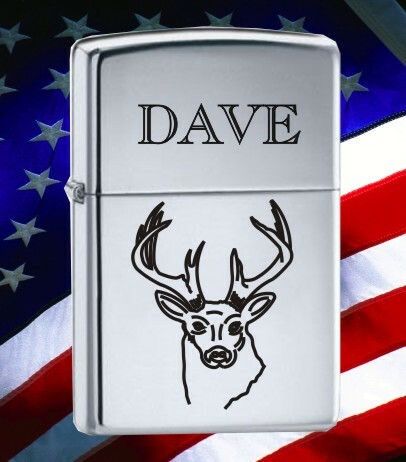 Zippo Lighter in High Polish or Satin Chrome engraved with Deer & Name. Regular size lighter. Zippo Lighter in High Polish Chrome engraved with Name. 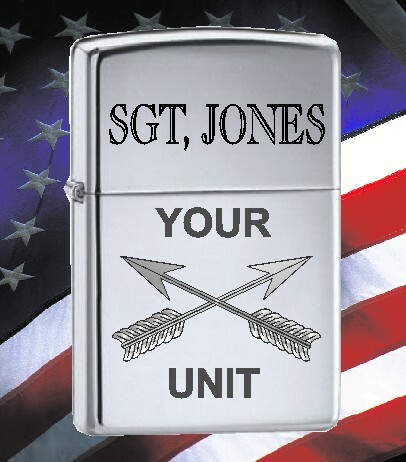 Regular size lighter.Available in Slim Line and Brass also. 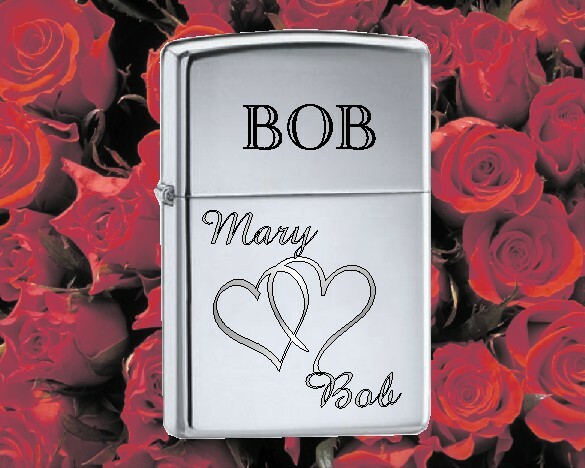 Zippo Lighter in High Polish Chrome engraved with Name and I Love You with name of giver. 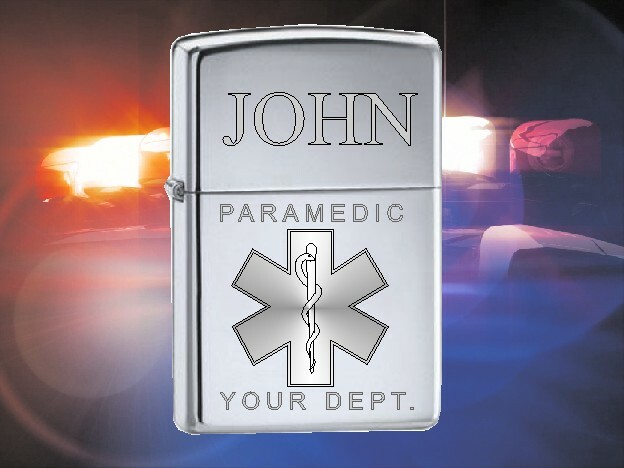 Regular size lighter.Available in Slim Line also. 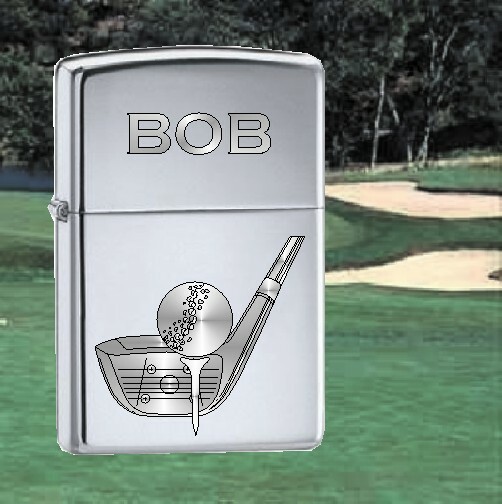 Zippo Lighter in High Polish Chrome engraved with Name and Company Name. 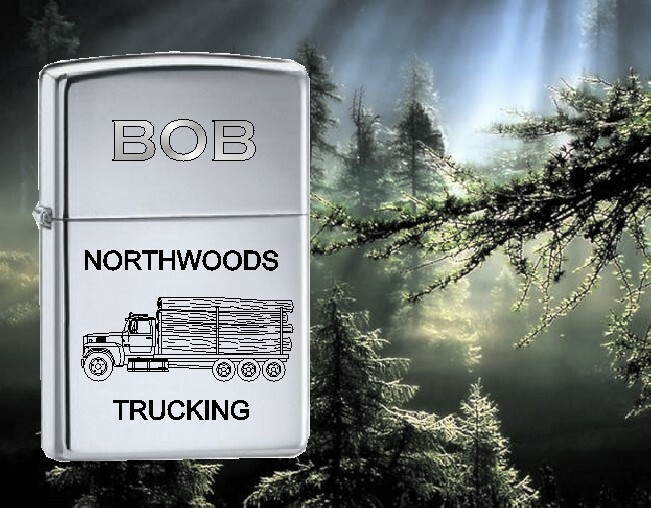 Regular or Slim size lighter. Zippo Lighter in High Polish or Satin Chrome engraved with Medical Caduceus & Name. Regular size lighter. Zippo Lighter in High Polish or Satin Chrome engraved with Moose & Name. Regular size lighter. Zippo Lighter in High Polish or Brush Chrome engraved with Name and Company Name. 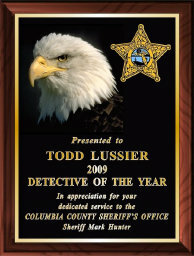 Available with or without truck company name. Zippo Lighter in High Polish or Satin Chrome engraved with Name and your state seal. Regular size lighter. Zippo Lighter in High Polish or Satin Chrome engraved with Name and Company Name. 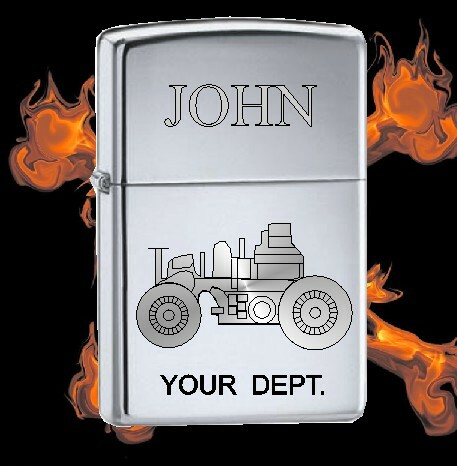 Available with or without truck company name.